James Holmes' attorneys have put it off for weeks, saying state laws on the death penalty and insanity overlap in ways that violate Holmes' constitutional rights and his ability to mount an effective defense. 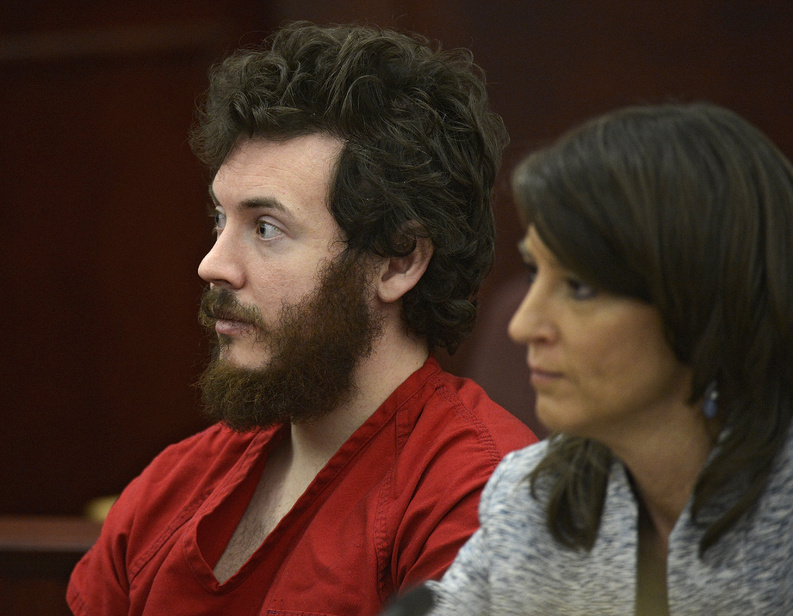 DENVER — The man accused in the deadly Colorado theater shootings wants to change his plea to not guilty by reason of insanity, his lawyers said Tuesday, despite their fears that the plea could severely hamper his ability to mount a defense against the death penalty. James Holmes is charged with more than 160 counts of murder and attempted murder in the July 20 assault on a packed Aurora movie theater that killed 12 and injured 70. Prosecutors announced last month they would seek the death penalty. Holmes was widely expected to plead insanity given the compelling evidence against him, but his attorneys put it off for weeks, saying state laws on the death penalty and insanity overlap in ways that violate his constitutional rights and his ability to mount an effective defense. One of their worries: If Holmes doesn’t cooperate with doctors who will evaluate his sanity at the state mental hospital, he could be barred from calling witnesses to testify about his mental condition during sentencing. That would make it nearly impossible for his lawyers to use his mental state as an argument against the death penalty. “If you don’t cooperate during the evaluation phase, you lose the right to call witnesses in your own behalf who could help convince a jury that your life should be spared,” said Karen Steinhauser, an adjunct law professor and former prosecutor. Two judges previously refused to address the constitutionality question, saying Holmes couldn’t challenge the insanity law unless he entered an insanity plea first. That gave his lawyers little choice but to enter the plea and then try to make their case against the law. Their filing Tuesday made it clear they are not giving up their right to challenge the laws, Steinhauser said. Holmes was supposed to enter a plea March 12, but his lawyers said he refused to do so because the constitutional questions prevented them from giving him good advice. The judge in charge at the time, William Sylvester, entered a standard not guilty plea for him. Sylvester withdrew from the case April 1, saying his administrative duties as chief judge of the district wouldn’t allow him enough time. Sylvester assigned District Judge Carlos Samour to take over. Samour must approve the new plea before Holmes is allowed to enter it, and he already has said he would require an explanation before he does so. Steinhauser said she doesn’t think that will be an issue. Samour said he would hear arguments from the defense and prosecutors about the new plea at a hearing Monday. If the judge does accept the plea, Holmes would be sent to the state mental hospital, where doctors would determine whether he was sane at the time of the shootings. If the doctors do determine Holmes was insane, a jury could still find him guilty. Holmes’ attorneys repeatedly have said in court hearings and documents that Holmes is mentally ill. He was being seen by a psychiatrist before the attack. Holmes had sent the psychiatrist a notebook that media reports said included crude drawings of violence. Prosecutors might renew their request to see the notebook, because state law gives them access to some medical records of defendants who plead not guilty by reason of insanity. Prosecutors backed off their previous attempt to see the notebook when Holmes’ lawyers said it was protected by doctor-patient privilege. It’s unclear how long the mental evaluation would take, but it would further delay the proceedings, which already have taken nearly 10 months. The trial is not scheduled to start until Feb. 3, and even that likely would be pushed back by the mental evaluation. Tom Sullivan, whose son Alex was killed in the attack, said prosecutors have warned victims that an insanity plea would delay the case.